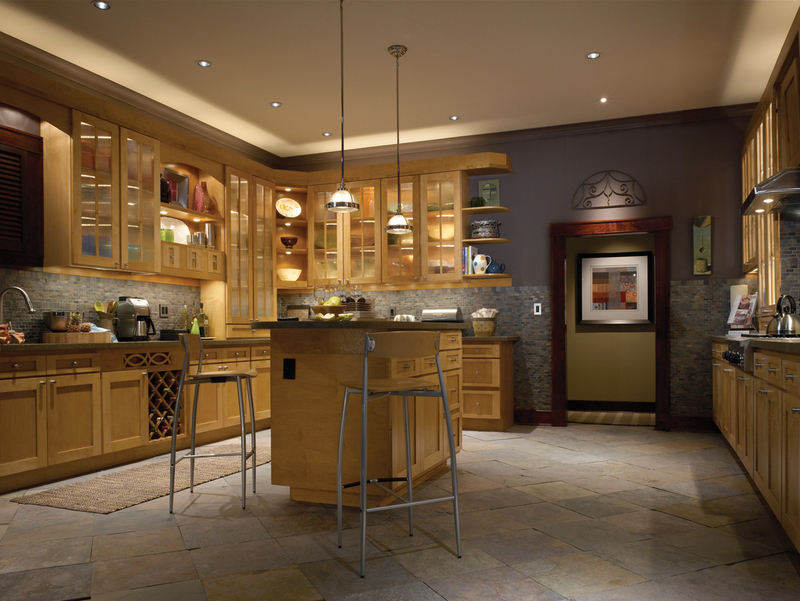 Lighting Control is our specialty and it will create the perfect setting in your home. Our systems, when used with motorized shades and draperies, can do more than simply turn the lights on and off in your home. With controlled lighting, you can create preset sequences and schedule them for reading, parties, watching movies in your home theater, or any other event. By pressing just one button you can light both the interior and exterior of your home in the most aesthetically pleasing way for any occasion. Watch your home transform with a push of a button to highlight the features of your interior and exterior. Lighting also creates a safer home. While driving up to your house, with the touch of a button in your car, you turn on your exterior floodlights, open the garage door and light up the hallway from your garage to your kitchen. With a control by your bedside you can conveniently control the whole house, while still in bed. If you hear a sound outside in the middle of the night, you can simply turn on all the lights outside the home, scaring off potential criminals. When you leave for vacation, just press a button to program your house so that lights turn on and off, and shades open and close at random times, possibly deterring burglars.